The RSA Group has been in operation since 1710. They were founded in London but now have a global presence. In Ireland, they operate through an exclusive number of brokers of which we are one. They currently have over 400,000 customers in Ireland. This review will help you decide whether RSA Insurance is the right fit for your needs. The RSA Group has a presence in 140 countries with 23,000 employees and 17 million customers worldwide. Their Irish base is in the stylish RSA House in Dundrum, Co. Dublin. Another key point to note is that like all of the companies we provide quotes for, RSA Car Insurance is regulated by the Central Bank of Ireland. RSA Insurance has been one of our leading insurance policy providers for a number of years. On the whole, they are known for their simple policy solutions and great customer services. The RSA group are well established in the market and our experiences with them as a broker have been very good. They are able to offer competitive rates for all insurance policies, in particular young drivers insurance. They offer great value car insurance with excellent customer service. RSA Car Insurance comes with a number of added benefits including key care, windscreen claims and breakdown assistance. They have been providing a great service for many years and we are delighted to have them listed on QuoteMe.ie. Having said that, everyone’s insurance requirements are different. You should review policy documents before purchasing insurance with RSA. Our quote comparison tool will let you know if RSA Car Insurance is the cheapest policy for your needs. Obviously we would recommend that you strongly consider a policy with RSA should it fit your needs and budget. Our online quote comparison tool will let you know whether a RSA Car Insurance policy is the right fit for your needs. This tool gives you a list of the most suitable policies for you. Most importantly it gives a breakdown of the price of each insurance policy available to you. Aviva are one of the most well-known insurance brands in Ireland. They have been the named sponsors of our national football and rugby stadium, the Aviva Stadium, since its opening in 2010. Aviva Ireland is part of the worldwide Aviva Group that provides insurance, savings and other services to 33 million customers. This review will give you an overall look at whether Aviva can provide the right policy for your home insurance needs. Aviva Home Insurance is provided by Aviva Group Services. The group has been operating under the brand name Aviva in it’s 16 markets around the world since 2002. The company employs roughly 30,000 people worldwide, headquartered in London, England. Aviva Ireland has 1,260 employees based in offices in Dublin, Cork and Galway. Aviva Direct Ireland Ltd. is regulated by the Central Bank of Ireland. As one of Ireland’s leading online insurance brokers, we have a great relationship with Aviva. Many of our customers opt for Aviva policies. Their strong brand reputation and good customer service has made them a trusted choice for home insurance in Ireland. They provide a comprehensive range of insurance products including cover for home, motor and travel. Additionally, Aviva provide some features to help you protect your home. This includes contents and mortgage insurance. These have proved popular with our customers. They often provide best value for our customers and their insurance needs. Aviva are one of the many home insurance providers that we provide quotes for on site. You can compare these quotes using our online comparison tool. As has been noted, quotes do vary and it’s important to shop around for the best fit for you. However, if the quote from Aviva for home insurance is within a comparatively good price point you can be confident that the company is reputable and from our experience, has a good track record dealing with customers. Liberty Insurance have been offering car insurance in Ireland since 2012 and many of our customers have taken out policies with them. The company currently have over 215,000 customers in Ireland. We have written this review to help you when you’re looking for a Liberty car insurance quote. Liberty Car Insurance is provided by Liberty Seguros which is part of the Massachusetts based Liberty Mutual Holding Company (LMHC), head of the Liberty Mutual Insurance family. LMHC employs more than 50,000 people in 800 offices around the globe. 400 of these employees are based in their Irish offices in Dublin and Cavan. On January 1st 2019, Liberty Insurance Ireland merged with its parent company in Spain, Liberty Seguros. As part of the Liberty Mutual Insurance family they benefit from having over 100 years’ experience in providing insurance. Liberty Insurance is regulated by the Central Bank of Ireland. We have been providing quotes for Liberty Insurance for a number of years. Overall our customers have been happy with their Liberty Car Insurance policies. As mentioned previously, Liberty Insurance has only been active in Ireland for less than a decade. As a result of their strong brand reputation they were able to build up quite a large customer base in a short space of time. Liberty Insurance is a good option for car insurance in Ireland. They offer good coverage. They have also established a strong base in Ireland. Their recent merger with Liberty Seguros will allow them to share expertise and resources. Consequently, this should allow them to better serve their customers. Furthermore, Liberty Insurance has a great track record with customers. They are known as one of the most trustworthy and reliable providers in the country. Our quote comparison tool will let you know if Liberty Car Insurance is the cheapest policy for your needs. You can compare car insurance policies using our online quote comparison tool. 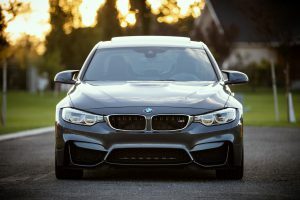 This will help you find the most suitable car insurance quote for your needs. Our quote comparison tool will return the cheapest available policy for you. A customer who saved €485 on her car insurance quote with us was recently featured in the Switching Saturday section of the Irish Independent. The lady in question saved just over 50% on her policy by switching with us. This is a great example of how shopping around when renewing your policy can save you significant amounts. We constantly see cases like this when people who have been quoted high premiums by their existing insurance company get a quote with us. It is commonplace to see similar savings. The lesson to take is not to accept the first quote from your insurance provider. Get quotes from multiple companies. As seen in the Irish Independent piece, we can get quotes from a number of insurance companies for you. This can help you save on your premium. The report contains significant insights into the Motor Insurance sector in Ireland from a customers point of view. Price is a major factor in deciding which motor insurance policy to take out. Seventy-nine per cent said that price was the most important factor in deciding their last purchase of motor insurance. However, fifty-eight per cent of those involved in the study did not change insurers. It is advisable to shop around to get the best quote. Get quotes from multiple providers. In a lot of cases, there is a large swing from the lowest cost to the highest cost policies. Therefore, you should set a reminder before your policy is due for renewal in order to make sure you avail of any possible savings by switching to another insurer. As an insurance broker we check thirteen insurance providers for our clients and pick the best one for them at renewal time. As a result, you can save time checking prices. Ninety per cent of those surveyed said that they were either “satisfied” or “very satisfied” with the service they received. Therefore, the insurance sector should take pride in this statistic. The full report is available to download from the Irish central bank’s website.